PhD, insect ecology (University of Calgary). I have a life-long interest in all things insect related. I have worked on a variety of insects including dragonflies, bark beetles, ants, honey bees and solitary bees. I particularly enjoy interdisciplinary collaborations with non-biological disciplines such as computer science, engineering, and mathematics. This has resulted in a number of exciting projects. For example, I am currently working on developing insect and slime mould inspired algorithms for supply chain management and for designing resilient infrastructure networks. 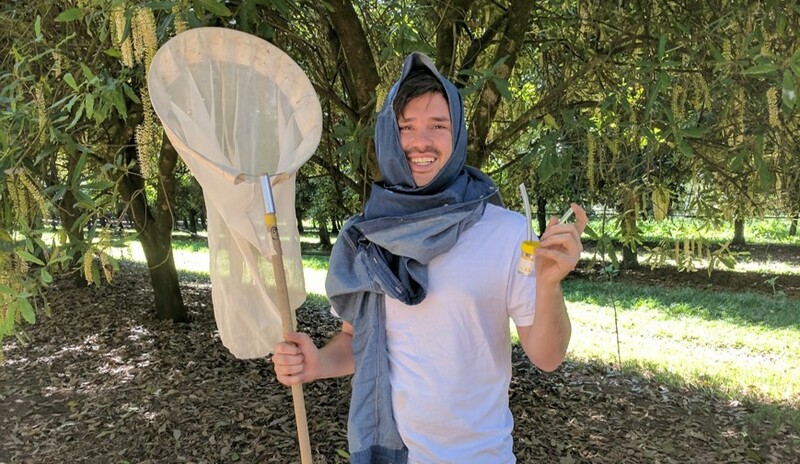 I am also passionate about insect conservation, and am currently working on projects centred around Australian native bees in urban and agricultural environments. I love field work and have worked in some truly beautiful places! Does all the things. Keeps the lab from burning down. 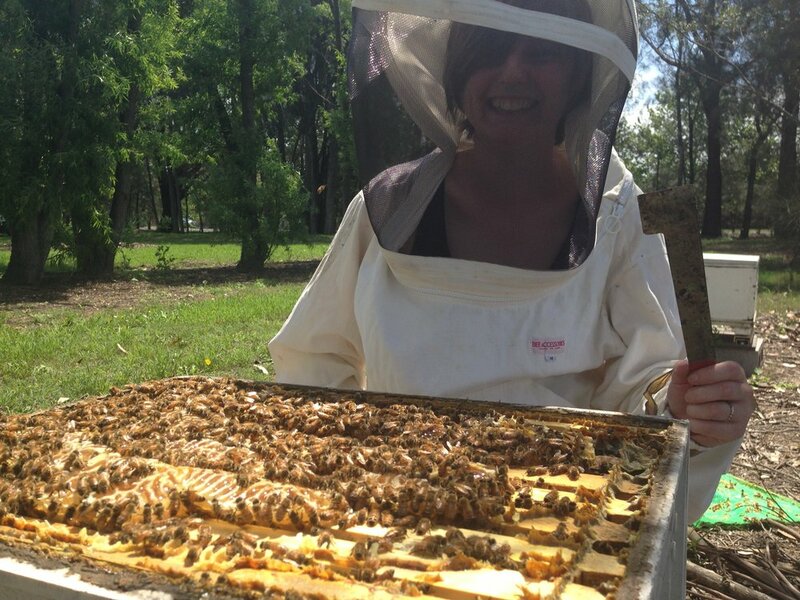 "Cross-pollinating insect and community resilience in urban environments" is a project exploring how native bees connect urban agricultural and native bushland environments with members of the public. My project involves citizen science and invites members of the public to join in workshops and participatory research. Currently, I am studying connectivity and resilience of urban plant-pollinator systems in Sydney's community gardens and bushland using a network approach. My research focuses on filling some of the gaps in the reproductive behaviour of the Australian stingless bee species Tetragonula carbonaria. I will divide my thesis into three different parts: (i) I will study the male’s mating and aggregating behavior to develop a protocol for estimating the density and the distribution of stingless bee populations in the wild, (ii) I will improve techniques for propagating hives, and (iii) I will evaluate inter-colony aggression in the context of orchard hive aggregations. This project aims to develop an understanding of which insect pollinators play key roles in agricultural pollination networks in apple, blueberry and market gardens. Networking a way to sustainable integrated pest management for rice in Northwest Cambodia. This study aims to investigate the social and ecological constraints of rice pest management in Cambodia with the aim of developing a successful and sustainable integrated pest management regime for smallholder farmers. To achieve this, a variety of novel and critical methods will be employed including the development of in-depth socio-ecological networks and ecological engineering techniques. It is hypothesised that using a holistic socio-ecological network approach with ecological engineering techniques will improve adoption of a sustainable integrated pest management methods for smallholder rice farmers in Cambodia. Using tools from behavioural economics, this project aims to determine why bees choose some flowers over others. Urban environments offer a range of novel opportunities but also impose unprecedented selection pressures to plants and animals. I study several aspects of hover fly biology to elucidate which characteristics favour their tolerance to urban environments. Please note this page is currently under construction. Project descriptions and profile pics are coming soon! Francisco Garcia Bulle: Native bees as alternative crop pollinators: reproductive behaviour of Tetragonula carbonaria.